Signing off and toasting: To having better content strategy that will boost your blog and boost your biz. 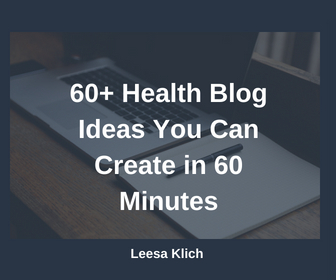 If you have a health & wellness website, you probably have a blog. But, is it building your audience, email list, and sales? Are you using your blog strategically? Perhaps you could use a bit more strategy to build a more targetted audience and “warm” them up to your upcoming launch? Watch me plan 5 weeks of blog (or vlog/podcast) content in under 20 minutes. Grab a copy of the spreadsheet (in the link below), and do yours along with the video. Here’s a link to the written out step-by-step version how to create your editorial calendar. 2:05 – How to download to your Google drive. 2:25 – How to download as an XLS spreadsheet. 3:14 – What’s your blog’s objective? 4:47 – Add the most important dates first. 8:33 – Finalize the calendar. What do you think? Do you want to strategically plan your blog posts to build your “know, like, and trust” factor… and eventually grow your business? Do you think you can start doing this month-to-month, or quarter-to-quarter? 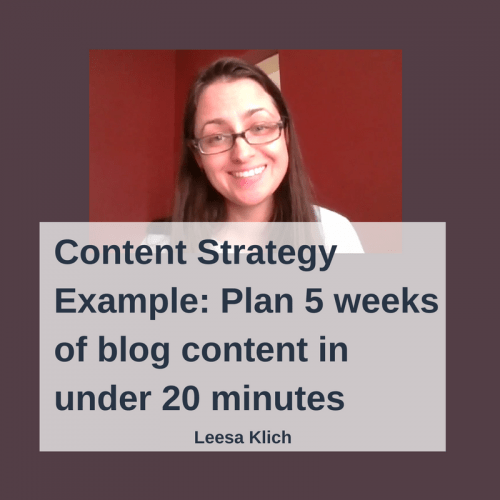 Do you want some help with strategizing your blog? I followed along with your video. It was very helpful and thank you for the template!